Be a style queen in this elegant gathered dress by Vera Mont. It has been cut from a soft stretch fabric and is fully lined for a perfect fit. 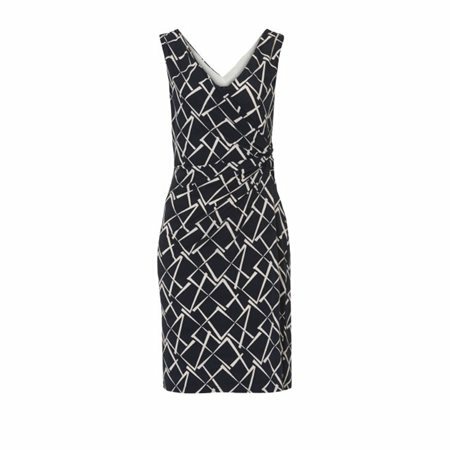 The dress is navy with an all over abstract design in taupe. It has a deep v neck to the front and back and simply pulls on. The gathered detail is a lovely touch and will flatter the silhouette. Complete your look with our Vera Mont sheer scarf in taupe.